Akademos, Inc., a leading provider of online college bookstore solutions and integrated online marketplaces for educational institutions, announced today that Sweet Briar College, a private, not-for-profit college for women, has joined its fast-growing list of partner schools. Sweet Briar College, located in central Virginia, was named one of the Top 10 Best Private Colleges in the South and one of the Top 10 Best Women’s Colleges by Forbes. 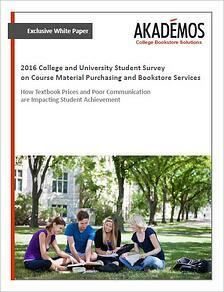 It is the fourth Council of Independent Colleges in Virginia (CICV) member institution to adopt the Akademos online bookstore solution – the others include Bridgewater College, Mary Baldwin College and Roanoke College.